One cannot talk about Africa’s economic prospects without speaking about the continent’s colonial legacy. 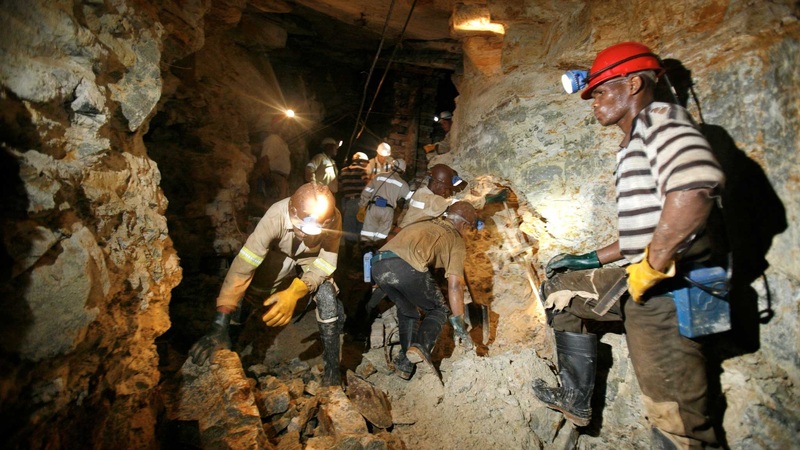 African economies remain beholden to an historical resource curse… In South Africa, mining lies at the heart of our own torturous history of racial classification and white supremacy. In 2011, the Economist issued a special edition titled “Africa Rising” and argued that the continent had a bright and prosperous future ahead. Its optimism had some basis in the figures. Real GDP in Africa grew by 5.4% in the years 2000-2010. This was more than double the growth achieved in the years 1980-1990. Were we really living through an “Africa Renaissance” after all? Recent events, unfortunately, have put the narrative of an “Africa rising” to bed. Overall GDP growth in Africa declined to an average of 3.3% in the years 2010-2015 and in 2016 we witnessed the weakest growth in Sub-Saharan Africa (SSA) in nearly two decades. If one considers GDP per capita figures, the picture is an even bleaker one. Between 2000 and 2013, Africa’s per capita growth was a meagre 2.16 percent. To place this in context, East Asia as a whole experienced a 7% increase in per capita GDP in the same period. The “African Renaissance” was more cosmetic than substantive. Inequality within Africa remains startlingly high. Seven African countries are found in the top 20 most unequal countries in the world. The continent’s most industrialised country, South Africa, is the most unequal of them all. Oxfam recently reported that three billionaires in South Africa share the same wealth as the bottom 50% of the population! True economic transformation then will require more robust indicators than access to mobile phones and consumer goods. Ordinary Africans will continue to suffer the burden of poverty and its related social ills unless deep and systemic economic change occurs across the continent. One cannot talk about Africa’s economic prospects without speaking about the continent’s colonial legacy. African economies remain beholden to an historical resource curse. African economic fortunes are largely tied to commodity prices, and recent history provides no exception to this rule. The end of the “African miracle” is predictably traceable to a significant slump in commodity markets in light of a slow-down and restructuring of the Chinese economy. Unless African economies rid themselves of commodity dependence, future economic achievements are likely to be unsustainable, with a growth path that is attached to an elite (local and foreign) accumulation stream that entrenches structural inequality. Economic prosperity, if it is to move beyond cyclical talk of “renaissance”, “miracle”, “lions on the move”, must therefore involve African peoples challenging the continent’s current integration into global capitalism. The facts of Africa’s economic history are well known. In the early days of global capitalism, Africans provided slave labour to the burgeoning colonies of the “New World” over the Atlantic. In the period of colonial capitalism, Africa’s minerals were extracted by European powers and used to finance economic development and industrialisation in the Global North. This integration into global political economy also produced toxic ideologies. The invention of race and white supremacy, Orientalism and Eurocentrism, all coincided with the colonial conquests of the West and the subjugation of peoples of the Global South. In South Africa, mining lies at the heart of our own torturous history of racial classification and white supremacy. It was the mining economy, hungry for a source of cheap labour, that provided the material basis for colonial racism and finally apartheid. 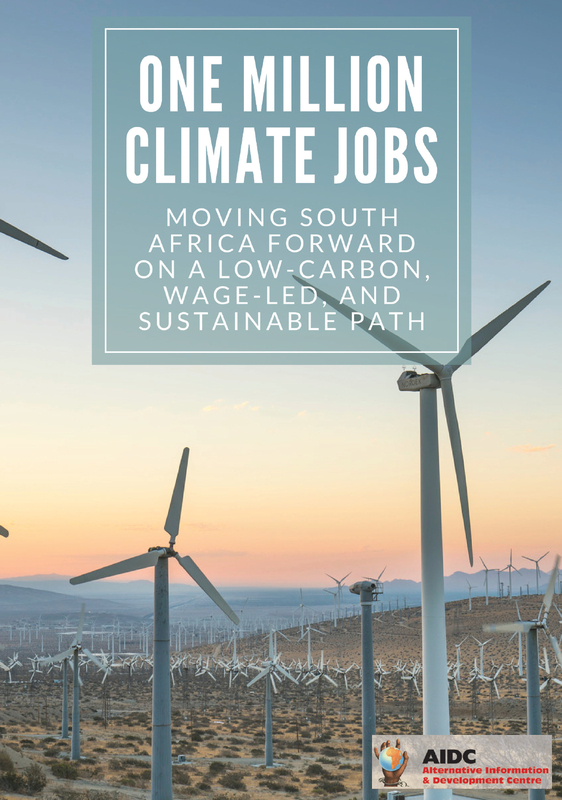 South Africa now risks sinking into an abyss of structurally embedded poverty, unemployment and inequality, endemic corruption and racialised capitalism. In the initial decolonisation wave of the 1950s and 1960s, many African countries were hopeful of achieving substantive economic independence. However, this generation failed to translate political freedom into economic prosperity, often due to ethnic conflict, elite corruption and interests (see Fanon’s discussion of the national bourgeoisie in Wretched of the Earth) and disruption by foreign powers. This failure led to near social collapse in the decades after, particularly in the years preceding and following the debt crisis in 1979. This fragility exposed African countries to the dominance of international capital and its institutions in the structural adjustment period. Compelled to follow the apostles of free-market economics, Africa’s position on the fringes of the global political economy was further entrenched. Though South Africa’s postcolonial trajectory is unique in many ways, so much of its story is consistent with the rest of the continent. The ANC came to power in 1994 promising radical transformation of the country’s political economy, even the nationalisation of the mines. Yet the new majority government consolidated at the high-point of global neoliberalism. 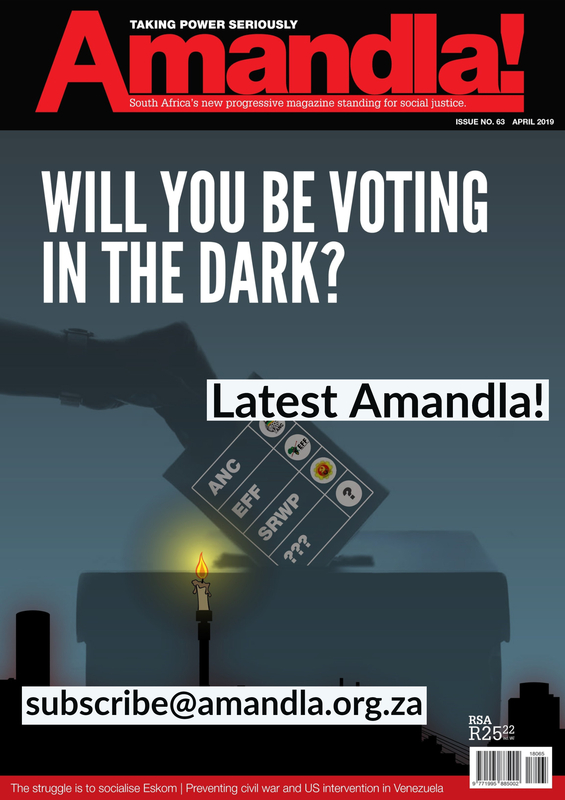 The ambitious goals of the Freedom Charter and RDP, the ANC’s official election manifesto, were abandoned just two years into office. Much had to do with the global balance of forces at the time. Thatcherism and Reaganism ran rampant throughout the West in the 1980s and travelled on the wings of the IMF and World Bank in the Global South. Though the ANC government in the post-apartheid era has engaged in redistributive programs, from social grants to housing and education, and labour has resisted total commodification and casualisation, these efforts have not been enough to achieve meaningful transformation. BEE, moreover, was a pact for government elites prepared by big capital to protect its own interests and has only served to create a parasitic black bourgeoisie. This bourgeoisie now has a political life of its own. The interests of this group has led to a spike in racial invective to justify narrow black control of the heights of our deeply uneven economy. 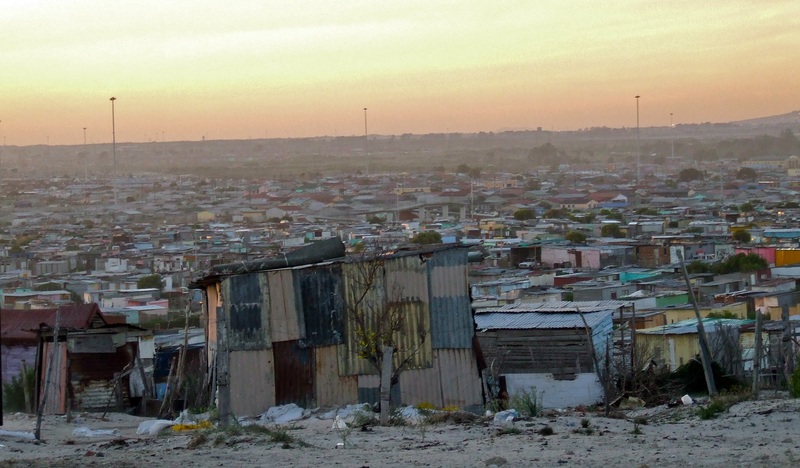 South Africa now risks sinking into an abyss of structurally embedded poverty, unemployment and inequality, endemic corruption and racialised capitalism. The place of mining in alternative visions? Conventional wisdom once held that mining was an inherently enclave industry and thus African economies should forget about leveraging mining for broader development. This was a view shared by conservative economists, development economists and the radical left too. Some continue to have a wholly negative view of the industry and maintain that it simply cannot be reformed to work for social benefit. These voices argue that the current commodity slump offers a perfect opportunity to consider alternatives to mining in toto. There are certainly grounds for such pessimism. Mining is associated with land dispossession, pollution, food and water insecurity and climate change. Multinational mining companies on the continent in general remain parasitic, despite formal commitments to the contrary. Local procurement and beneficiation is low and tax avoidance and transfer pricing are serious issues. A recent research report for example showed that $203 billion flowed out of Africa in 2015 in the form of expatriated profits of multinationals and into tax havens – a significant $68 billion of capital outflow from Africa was in the form of illicit financial flows. There is also a significant patronage network around the mining sector, as government elites across the continent seek rents off the basis of the industry. This further entrenches mining as part of a state-capital nexus so difficult to overcome- see the Marikana Massacre. A spike of indigenisation laws, including in Zimbabwe and in South Africa’s new Mining Charter, point to a worrying phenomenon where political elites adopt the language of revolution for narrow ends. Whether serving foreign or domestic capital or political cronyism, mining needs to undergo substantial transformation. Development economists and government officials across the continent have proposed deeper regional, and even continental, integration as the means by which African economies can together rid themselves of their colonial heritage. That integration should open up avenues for linkage development and embed mining in the local economy in ways that benefit African neighbours. While it is necessary to talk integration, one must attend to its social character. Are we to unite to facilitate easier pathways for elite accumulation or are we proposing a Pan-Africanism for ordinary people? If regional integration is to unlock the mining economy for social benefit, we must have a clear understanding of the mechanisms to achieve this. As many progressive economists have argued, for such a Pan-Africanism to be more than ceremonial, it must involve empowering African countries to engage with global capitalism on their own terms. Much aid to the continent continues to be conditional on privatisation, free trade and low tax regimes. So it continues to be in the interests of foreign corporations. This situation of dependence cannot continue. Moreover, the traditional players in Africa have been joined by new players, in the form of China in particular, complicating any easy assumption of South-South solidarity and a simple “anti-Western” ideology. New realities demand new thinking. On the more radical end of the spectrum, African integration is part of a delinking strategy, a step towards escaping underdevelopment and achieving socialism. This is a perspective advanced by Marxist economist Samir Amin. For Amin, African countries can only escape underdevelopment by escaping the circuits of global capitalism. Socialism, in various forms, is making a noisy comeback in the Global North – in the US (Bernie Sanders), UK (Corbyn), Spain and Greece, as the myth of “the End of History” lies exposed in the aftermath of economic and political crises. The left remains relatively strong in Latin America too. Yet Africa lacks a strong and coherent socialist tradition. This is a distressing scenario for a continent that once boasted the likes of Nkrumah, Nyerere, Sankara, Machel and Cabral. Africa lacks a strong and coherent socialist tradition. This is a distressing scenario for a continent that once boasted the likes of Nkrumah, Nyerere, Sankara, Machel and Cabral… Kwame Nkrumah’s warning: “unite or suffer” is applicable for our times. 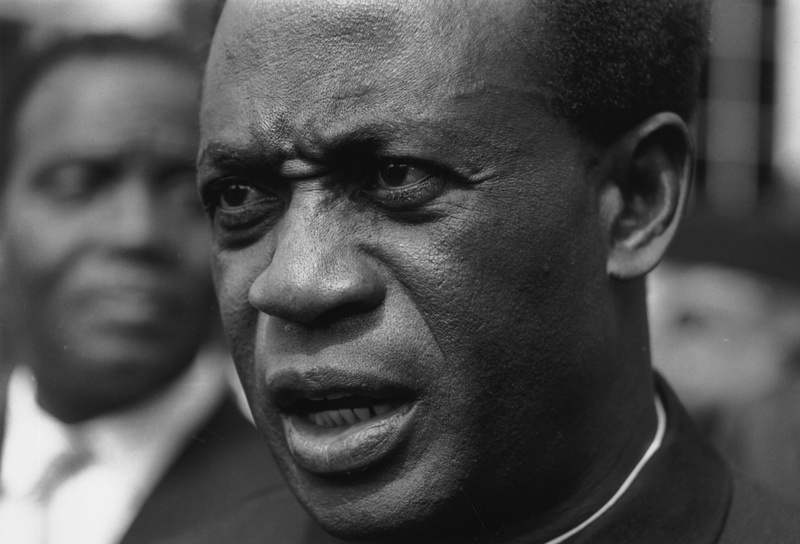 Kwame Nkrumah’s warning: “unite or suffer” is applicable for our times. Yet there are many challenges to unification. These all need to be accounted for in a sober fashion. There are the entrenched class interests at play in the political economy of resource extraction on the continent outlined above. In addition, there are serious problems of coordinating regional governance in an equitable way, particularly when perceptions of dominance are felt. For example, many feel, and for historically good reason, that the presence of South Africa on the continent is “sub-imperial” itself. There are also social and cultural issues standing in the way of smooth integration, particularly in relation to the free movement of peoples. There is simply not one “African mind” or “African culture” in which to ground practical unity. We exist on a continent with religious, historical, cultural, linguistic, and (not least) personal political divisions. How do we begin to speak about unity in this diversity? How do we articulate a Pan-Africanism that is aware of the need for common purpose, that is rooted, as Fanon would have it, in struggle, but does not wash over reality for the sake of romance? There is much talk about decolonisation and pan-Africanism in South Africa. Yet these conversations have generally been reserved for the colonial residues in culture, aesthetics and psychology. Such conversations are important, though they do have a tendency, if not handled with proper care, to drift into unproductive cul-de-sacs. At worst, these conversations can often slip into identitarianism, racial and cultural essentialisms and moral relativism, all the while producing palliatives that are either easily digestible by the liberal establishment and/or easily mobilised for legitimating the cynical accumulation of local elites. The economic legacy of colonialism will remain unless urgent action is taken. The struggle must be against the forces of neocolonialism and free market capitalism. As Fanon warned, this struggle will need to be taken up by the people, and must be a bottom-up, grassroots-led effort to confront deeply embedded institutional interests that continue to frustrate Africans desire for independence. Michael Nassen Smith is the Deputy Director of the Institute for African Alternatives (IFAA) and writes in his personal capacity.